ACM SIGGRAPH is pleased to announce the presentation of the 2015 Computer Graphics Achievement Award to Steve Marschner, for his work on modeling the appearance of natural materials. Steve’s research has produced the most realistic appearance models to date of many real-world materials, such as the highlights off blond hair, the glow of a baby’s skin, the glints off metals, the glitter of paint, the gloss of polished wood, the stretch and motion of a knitted sweater and the sheen of silk. Steve’s research combines three critical ingredients: detailed models of the intricate structure of materials, physically-based simulation of how light interacts with structured materials, and measurement of materials to capture and validate their appearance. The ACM SIGGRAPH Computer Graphics Achievement Award is given each year to recognize an individual for an outstanding achievement in computer graphics and interactive techniques. Previous award winners include Jim Blinn, Rob Cook, Loren Carpenter, and Turner Whitted. Steve’s seminal work in 2003 on hair showed that modeling scattering from the elliptical shape of hair strands is necessary to correctly predict the multiple distinctive highlights in hair. In 2001, his work on subsurface scattering simulated phenomena such as the glow of translucent materials like skin, marble, milk, and food. Steve has pioneered the measurement techniques used in realistic material acquisition. His recent work on representing the detailed structure of fabrics has enabled the most realistic visual appearance rendering and motion simulation of fabrics to date. He has also turned the problem around to fabricate materials with the realistic appearance of translucent pigments and faces. 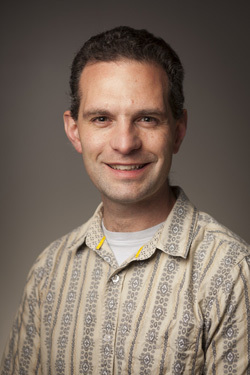 Steve joined the faculty at Cornell in 2002, where he is currently a professor in computer graphics. Before going to Cornell, he worked in the Computer Graphics lab at Stanford on material appearance modeling, and on The Digital Michelangelo Project. He received Ph.D. in 1998, where his research centered on Inverse Rendering for Computer Graphics. Steve Marschner’s work has had a deep and profound impact in applications from the entertainment industry to industrial design, and has fundamentally changed how materials like hair, skin, wood, marble and fabric, are modeled, measured and rendered in graphics. In 2004, he shared a Technical Achievement Award from the Academy of Motion Picture Arts and Sciences for significant advances in the realism of computer graphics and animation. He, with two faculty members from Stanford, developed a method for simulating the subsurface scattering of light in translucent materials. 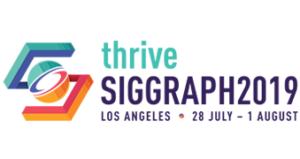 ACM SIGGRAPH is pleased to recognize Steve Marschner’s outstanding contributions to the field of computer graphics.